First-in-class destroyer USS Zumwalt (DDG-1000) will head to sea this week to begin testing components of its combat system, in its first sea trial event since arriving in its homeport of San Diego in early December. Moore said the ship would operate for a few days, engineers would collect some data, and then the ship would return to shore for its scheduled six-month post-shakedown availability. A full at-sea trial will take place after the PSA to test the entire combat system. 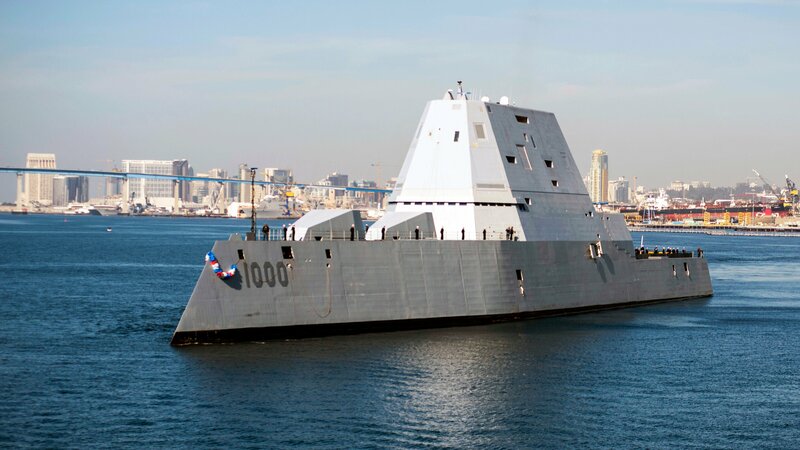 This week’s at-sea trial will also be the first opportunity to test the solution the Navy developed for a lube oil coolers failure that sidelined Zumwalt at least twice during its transit from Bath Iron Works in Maine to San Diego in the fall.